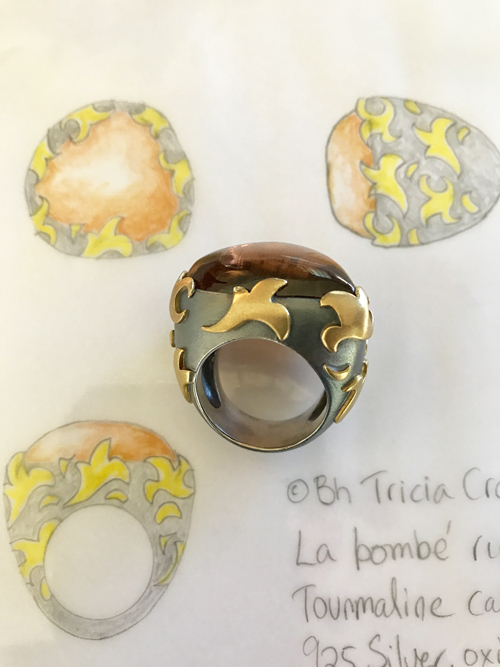 Large cognac tourmaline cabochon La Bombé – positioned across the finger with © Bh repeat pattern. 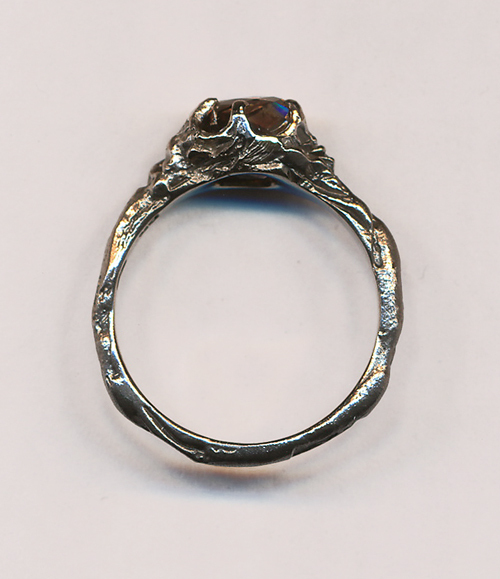 18ct yellow gold over oxidised 925 silver. 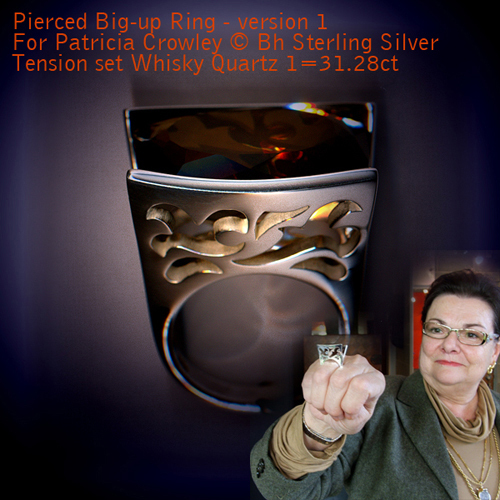 Ring for Patricia Mary Crowley, version 2 of her pierced Big-Up ring. 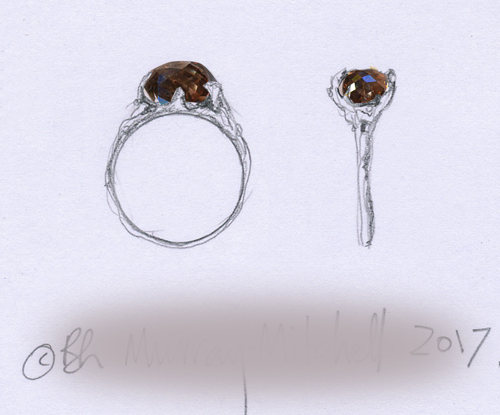 There is so much more I could say about what fun it is to source gems, design & make and collaborate . . .
We hope they go to someone deserving and in need of them. 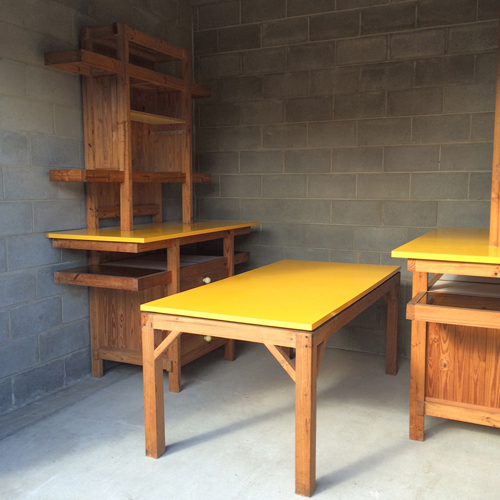 They were commissioned and made to my design for my studio in 1974 by Gary May, he later became Queensland Government Architect. They were for ‘Fairdinkum Graphics’ 1975–1978 and have been in storage since, holding my huge graphics library that couldn’t be accommodated at home. Originally in yellow laminex with matching knobs, I overlaid white laminex in the early 1990s and replaced the knobs with white ones. 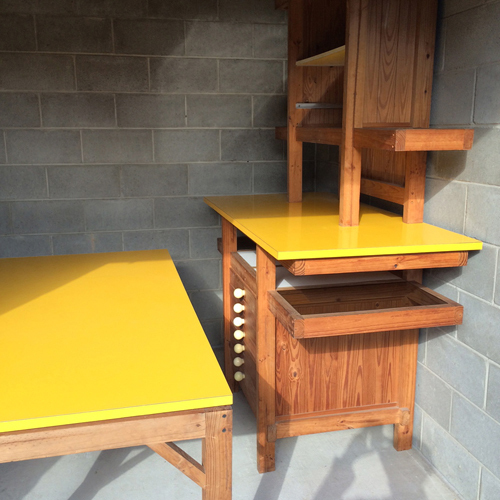 I’ll try to find the yellow knobs in storage somewhere or replace the white ones for yellow again. I’ve spent two days taking off the white laminex and glue, it has come up a treat. 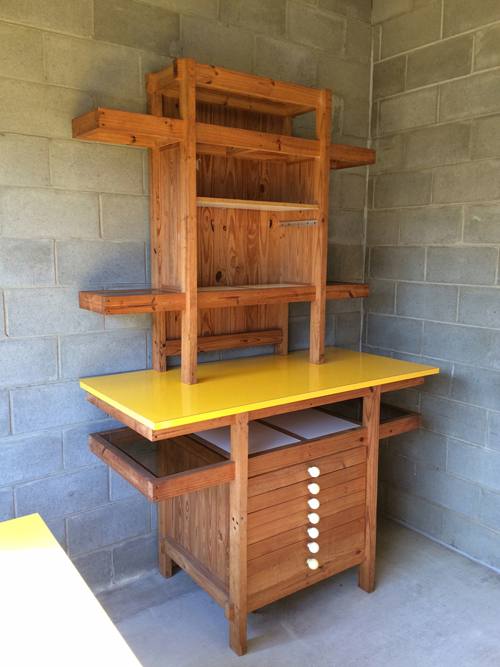 Solid oregon pine throughout with bronze bevelled glass on all the outer shelves. Lovely wide flat plan draws at the base of the two units. Each bookcase unit is in two pieces and I want $600.00 per unit = $1,200.00 and I want $300.00 for the matching table. Selling the lot at a dealer’s buy price – $1,500.00 – as soon as possible. My mobile is 0431 464 470. Bookcase base 1480mm W x 730mm D x 1020mm H – Bookcase top 1430mm W 1270mm H x 350mm D + Table 1770mm L x 860mm W x 750mm H. Please pass on to folk you might think deserving? 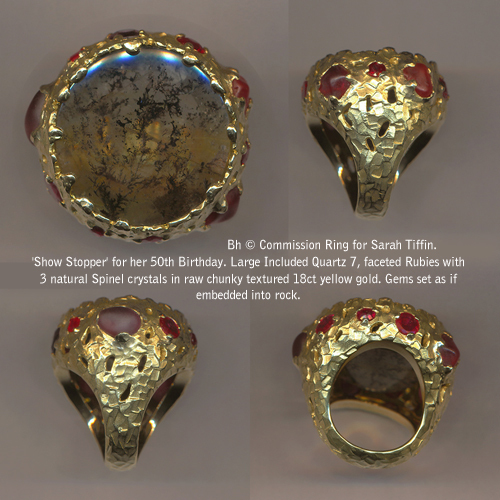 The younger generation love finer things, Barbara steered this ring commission for Margaux into a delicate scale with a raw sculptured texture using noble 18ct palladium white gold, the client wanted it to be anything but bright and sparkly so the metal was heated to darken the surface. 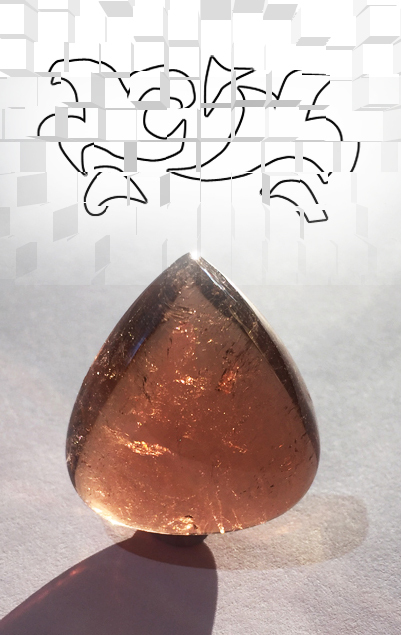 The large brown Diamond natural crystal from our gem collection was selected and set with twig like claws. 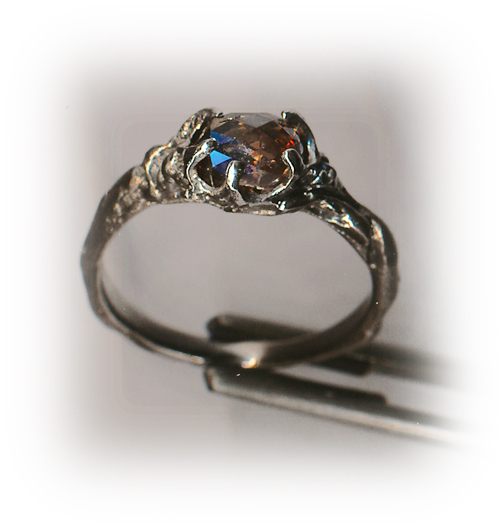 Just opened your parcel to find my GORGEOUS ring. I love, love, LOVE it ! ! ! All I had hoped for and more . . .